One of Platinum Games’ finest outings till date remains Vanquish, the final game that the legendary Shinji Mikami directed with the company, before striking out on his own and making The Evil Within with Bethesda. Vanquish was a high octane, kinetic first person shooter unlike just about anything else on the market- and while it never sadly got the success that it deserved, it remains a cult hit to this day, and a steady fan favorite. A lot of those fans want to play the game better than what the aged Xbox 360 and PS3 can afford; still more people want to play the game on PC, as it seems to be a natural fit for the platform. But Platinum has been rather elusive on PC, and the question of any of their franchises making it over to the platform has been a giant question mark at best. 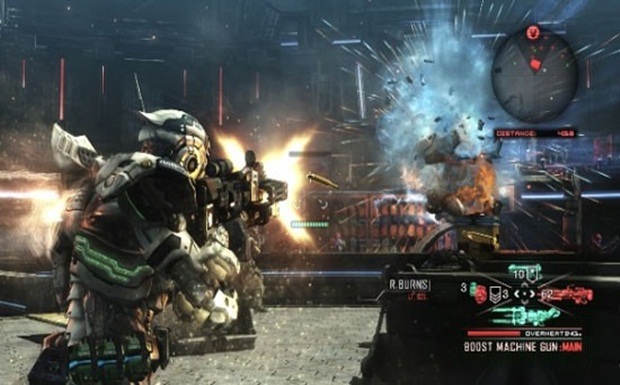 However, in a recent interview with Kotaku, Platinum Games co-founder Atsushi Inaba hinted at a Vanquish port for PC, jokingly stating that he could discuss the prospects of such a port, but off the record- now if there was no port planned, why would he simply not just say that, or something to the effect of no comment? Vanquish has been rumored to be hitting PC for quite some time now, so this just seems to be adding fuel to the fire. Hopefully, a port is announced soon- I know it would get me playing the game again, if nothing else.